Below is a transcript of remarks delivered by Grand Canyon Trust Executive Director Ethan Aumack at the announcement of the Grand Canyon Centennial Protection Act at the south rim of Grand Canyon National Park on February 23, 2019. Thank you, Congressman Grijalva. It is truly an honor to gather together with leaders from the Havasupai, Hualapai, Hopi, Navajo, and other Native nations, with members of Congress, county and city officials, conservation groups, businesses, hunters and anglers, and people from across our state and beyond who care deeply about this place. Thanks to all of you who have gathered here on this momentous occasion. Today, through the Grand Canyon Centennial Protection Act, we have the opportunity to change the course of the Grand Canyon’s next 100 years. This act has been many generations in the making. Miners began chipping away at the Grand Canyon’s rock layers even before the 1872 Mining Law became the incredibly damaging law of the land, as it still is today. Ten years later, in 1882, the government consigned the Havasupai to a 518-acre square, surrounded by mining claims. Five generations after that, the Havasupai, and those of us who followed, are still surrounded by mining and a tragic legacy of contamination that simply must come to an end. Today, we have an opportunity to close the door on uranium mining on 1 million acres of critically important public lands bordering Grand Canyon National Park. This action will build on and make more complete President Benjamin Harrison’s withdrawal of 1.8 million acres in and around the Grand Canyon in 1893. It will also build on the Navajo Nation’s 2005 decision to ban uranium mining across the entirety of the Navajo Nation — nearly 18 million acres. The Grand Canyon Trust is here today in large part because Havasupai leaders first stood up to the Canyon uranium mine, located just miles south of where we’ve gathered here. 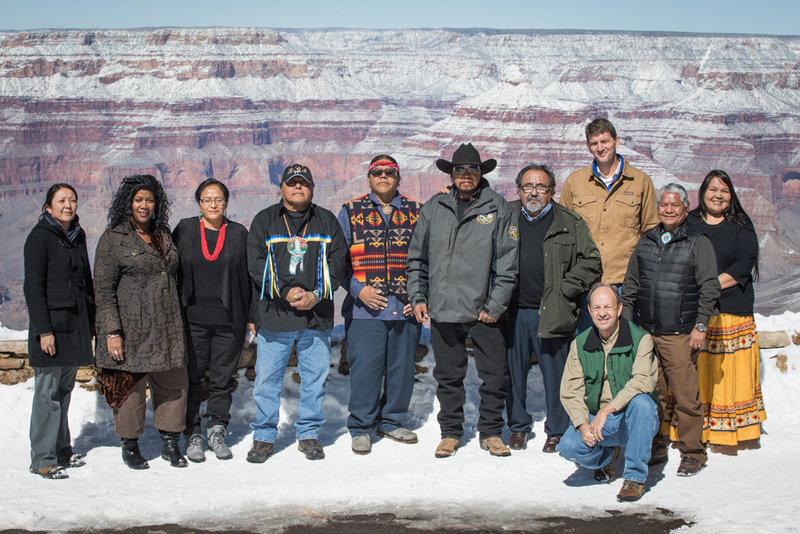 For decades, they have defended their homeland from desecration and fought to secure Grand Canyon’s life-giving waters from a uranium mine that was first permitted to operate on national forest land in 1986. Today, contaminated water must be pumped continuously from Canyon Mine while it has not produced one ounce of ore in more than 30 years. Canyon Mine, along with Arizona One Mine north of the canyon, are inactive because uranium remains too costly to mine. 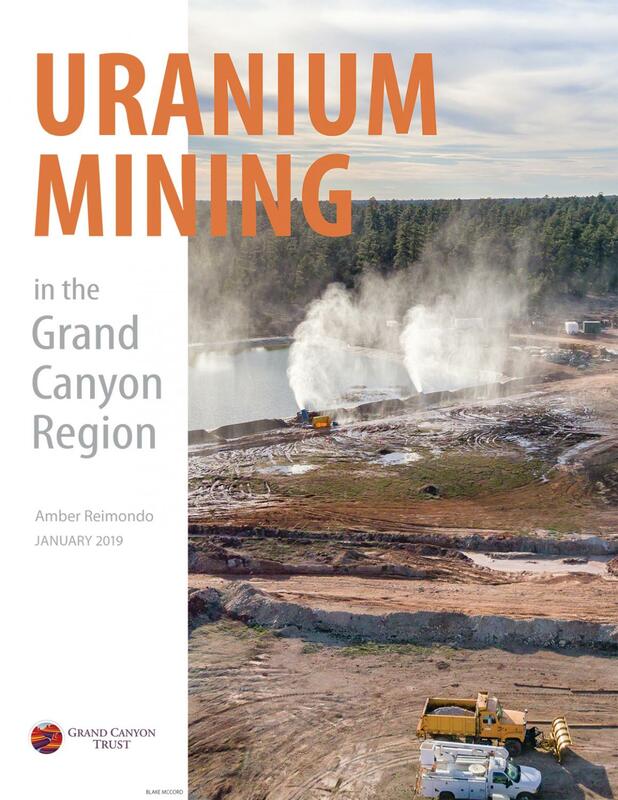 As our newly released report concludes, uranium mining in the Grand Canyon region is unnecessary for national security; it is uneconomic; and it is a threat to our tourism-based economies. The Grand Canyon Trust is humbled and honored to join Havasupai, Navajo, Hopi, and Hualapai leaders and others in supporting a permanent halt to this assault on the land and its people. In this, Grand Canyon National Park’s centennial year, we join together with all of you to ensure that uranium mining will not threaten these lands into the next century. As a matter of principle and common concern, we proudly join with citizens — of many political persuasions and personal histories — to stand with one united voice in supporting the Grand Canyon Centennial Protection Act. Let’s work together to keep the canyon grand. "We have the opportunity to change the course of the Grand Canyon’s next 100 years."